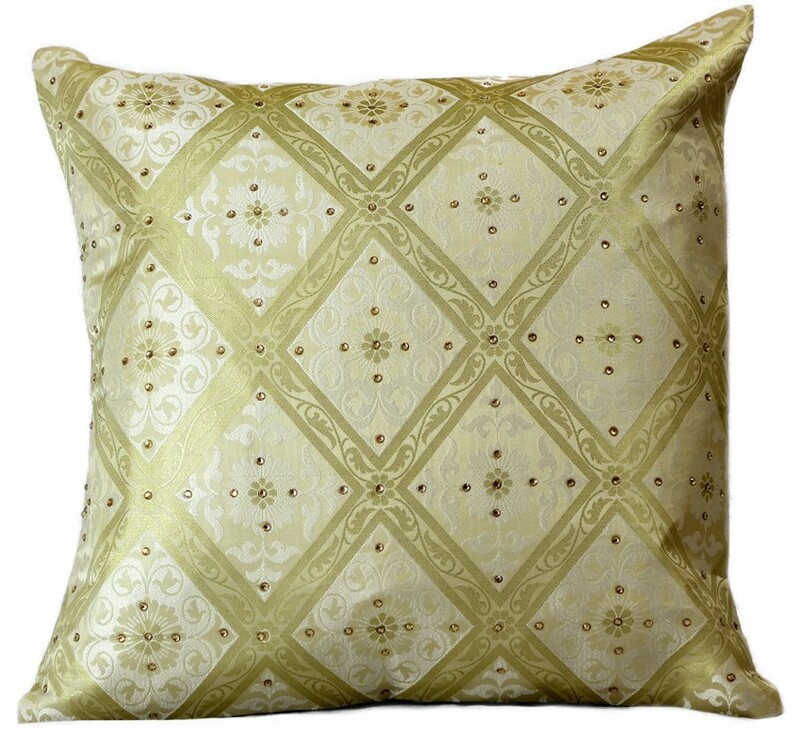 Beautiful accent pillow cover set features sparkling, hand embroidered stone work and a sophisticated brocade design. 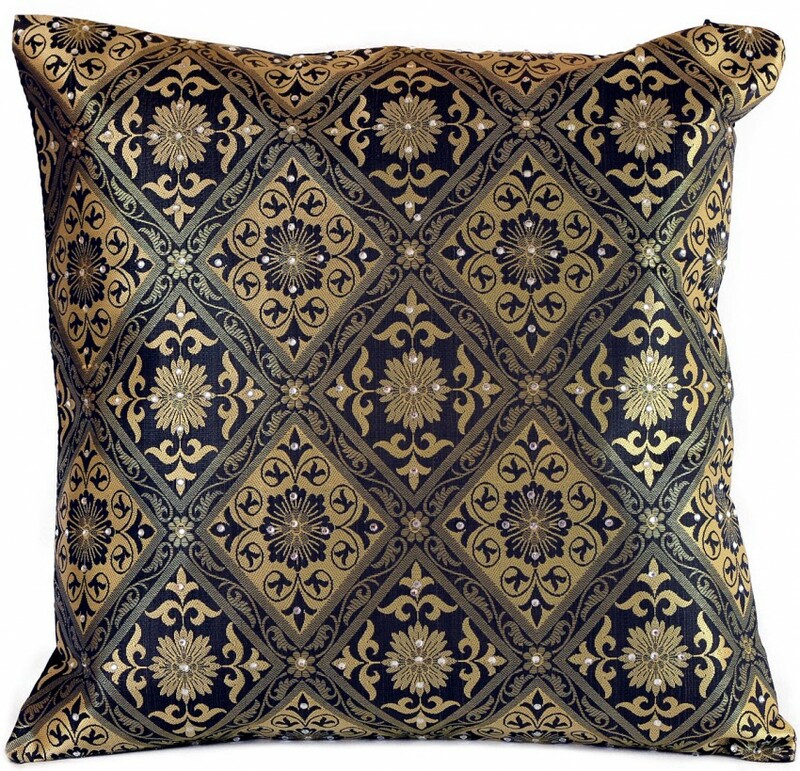 This stunning pillow cover set is the perfect addition to your living room, den or sitting area. Its 16” x 16” size allows it to fit almost any standard sized throw pillow, and the hidden zipper in the back gives you the ability to switch out the look and feel of your throw pillows easily. The stylish brocade design catches the lighting perfectly with hand-embroidered crystals and shimmers with metallic thread work. You can change the aura of your home with the seasons, or whenever you feel like it. 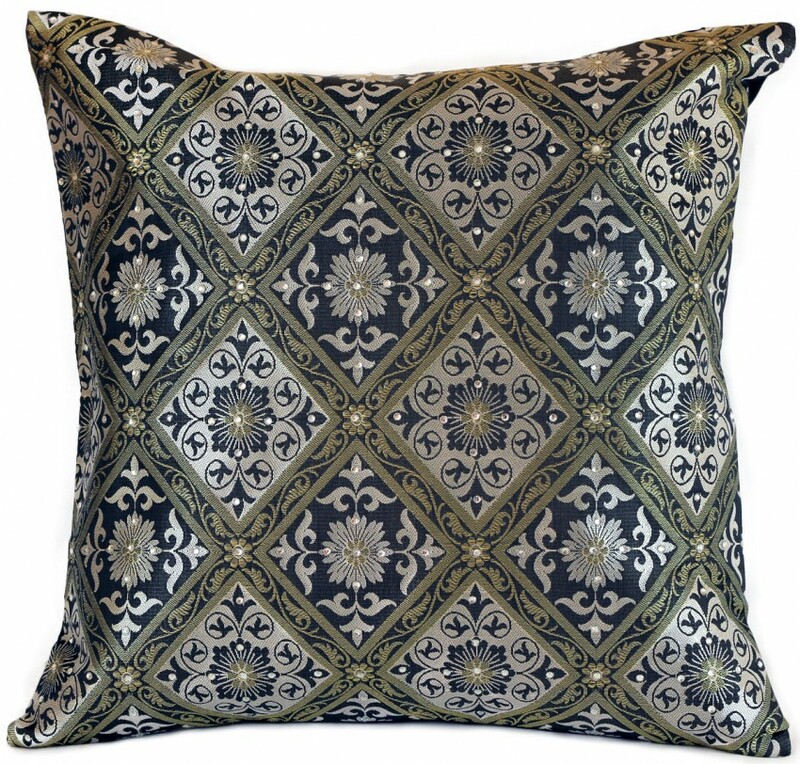 You’ll love how simple it is to instantly update the look in your home by just putting these chic, stylish pillow covers on your existing throw pillows. 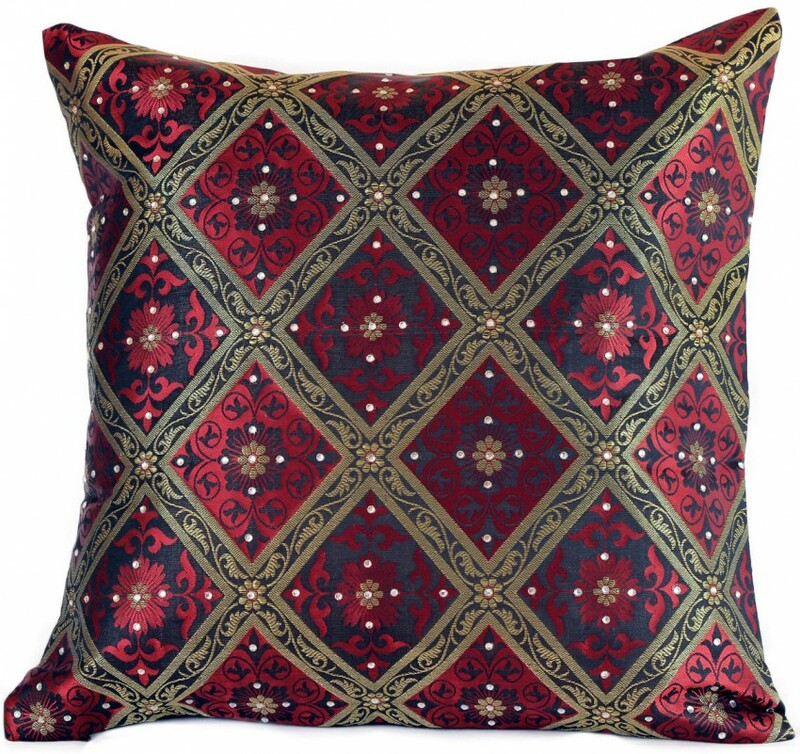 Perfect for sofas, chairs, futons, chaise lounges, beds and more.